We deliver worldwide throughout the U.S. ; For deliveries outside of the U.S. please contact us before finalizing your order. We accept returns with in 14 days of delivery. 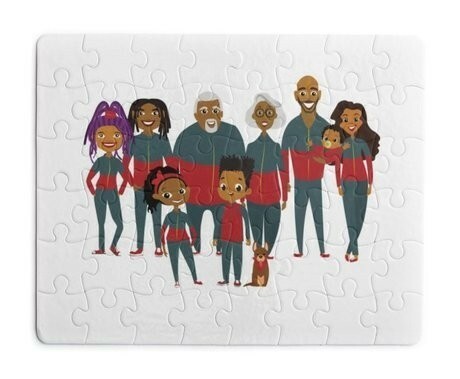 A Puzzle about the Maker Family from the Technology Expresso STEM/STEAM books Smart Sarah and the Magic of Science, and Perceptive PJ and the Making of a Mathlete. A good gift for anyone who likes an interesting challenge. A Smart Sarah Pillow – Embracing STEM – 14 x 14 – Personalize It!